There is a momentous process happening across the Middle East and North Africa today. It is an insidious development, partly surreptitious but mostly blatant in its operations. It is an evolving phenomenon that affects numerous people and communities, albeit to different degrees, and yet remains, with a few exceptions, unobserved. This development, if allowed ascendancy, will present an insurmountable obstacle to social, political, economic and cultural progress across the region. It will also hinder and obstruct relations between individuals and within communities for generations to come. Future Imperfect: Contemporary Art Practices and Cultural Institutions in the Middle East launched on 22 February 2017 at Delfina Foundation, London. Read the full essay and introduction. To read the introduction to Volume 01 in this series, Uncommon Grounds: New Media and Critical Practices in the Middle East, see here. 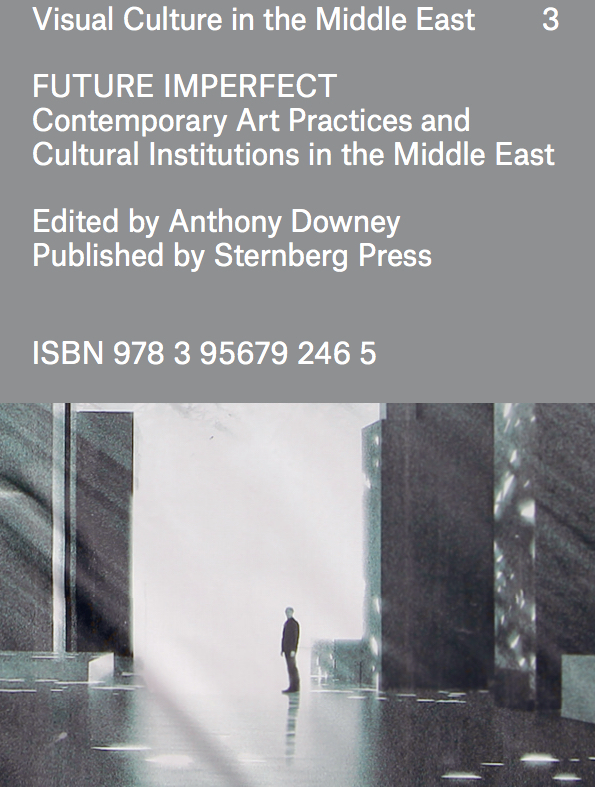 To read the introduction to Volume 02 in this series, Dissonant Archives: Culture and Contested Narratives in the Middle East, see here. To purchase a copy of Future Imperfect please follow this link.